Maven is a project development management and comprehension tool. Based on the concept of a project object model: builds, dependency management, documentation creation, site publication, and distribution publication are all controlled from the pom.xml declarative file. 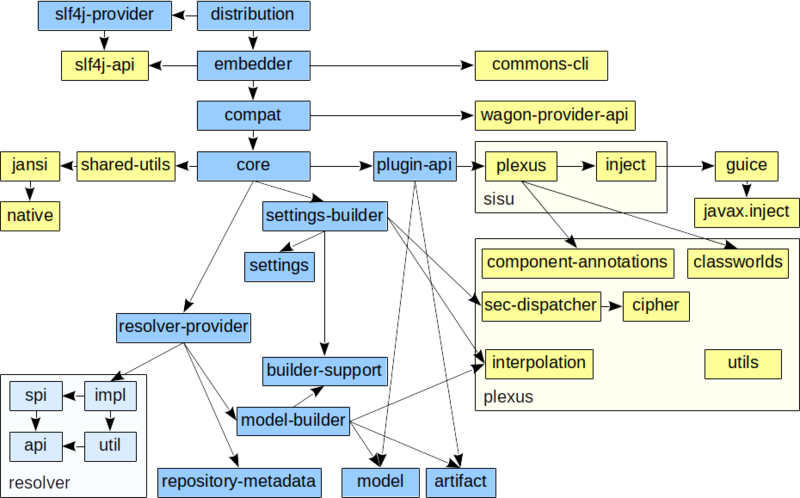 Maven can be extended by plugins to utilise a number of other development tools for reporting or the build process. Copyright ©2001–2019 The Apache Software Foundation. All rights reserved.